AP SBTET Diploma Exam Notification Oct/ Nov 2018: Andhra Pradesh SBTET Diploma Exam fee Notification October / November 2018 was released. In below we provide the link to notification. You can see the complete details of notification from below link. 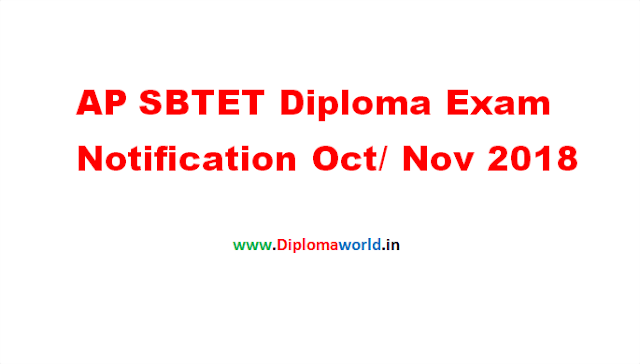 AP SBTET Diploma Winter examinations are conducts in October and November . 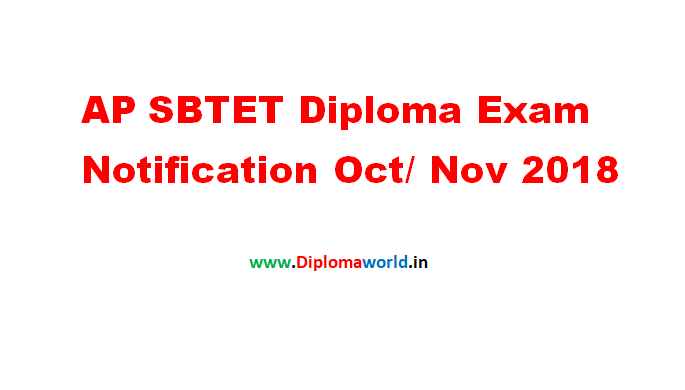 SBTET – Board Diploma Examinations for Regular/supplementary/Backlog candidates of C-09,C-14,C-16 & ER-91 schemes in Oct/Nov 2018 - Examination Notification - Issued – Regarding.